We began our Ad Limina visit with Mass at the tomb of St Peter. Today on our final day of the Ad Limina visit we celebrated Mass in the St John Lateran Basilica. St John’s is the Pope’s Cathedral and is therefore the Mother Church of Rome. 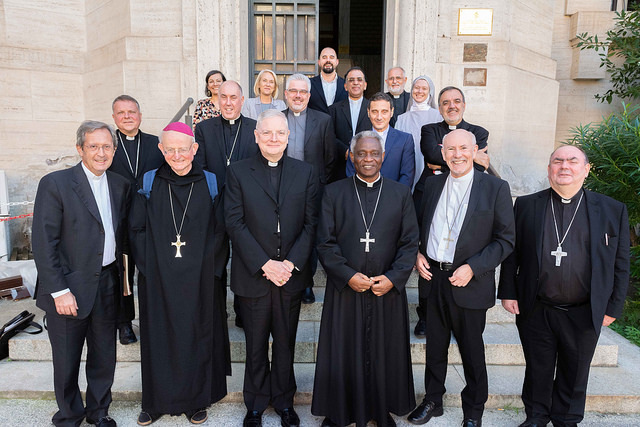 Bishops are the Successors of the Apostles and our visit to both the Pope’s Cathedral today and to Pope Francis last week, who as Successor of Peter – leader of the apostles, expressed both our unity with the Holy Father and with Catholics throughout the world. 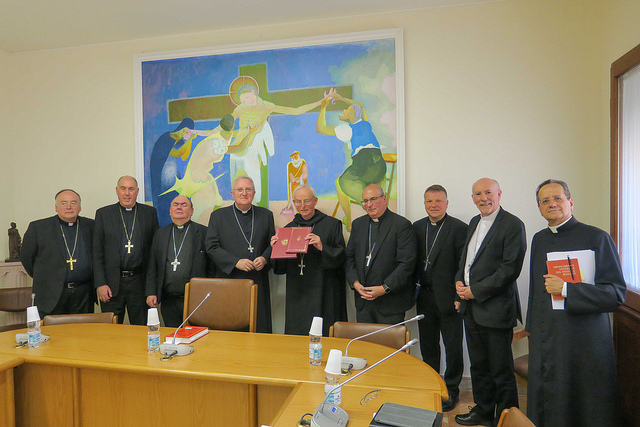 Our diocese of Argyll and the Isles may have small numbers and lie at the periphery of Europe but the Ad Limina stresses that we are an integral part of the Catholic Church. The Pope governs the Church through the Vatican’s departments or dicasteries. The Pope determines the role of each dicastery and the manner in how he expects it to be run. In other words the dicastery, in its dedicated field, should reflect the Pope’s vision. The open and reforming nature of Pope Francis has been easy to identify when meeting the dicasteries and I am grateful for his positive influence.. There are 22 dicasteries and we have visited them all. 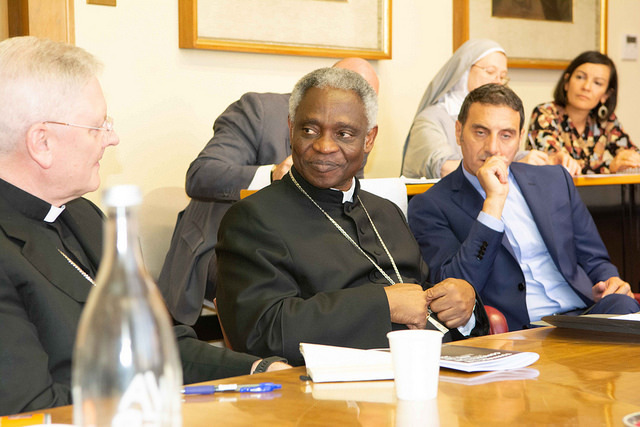 I came to Rome with a little trepidation but the meetings were enjoyable and reassuring. 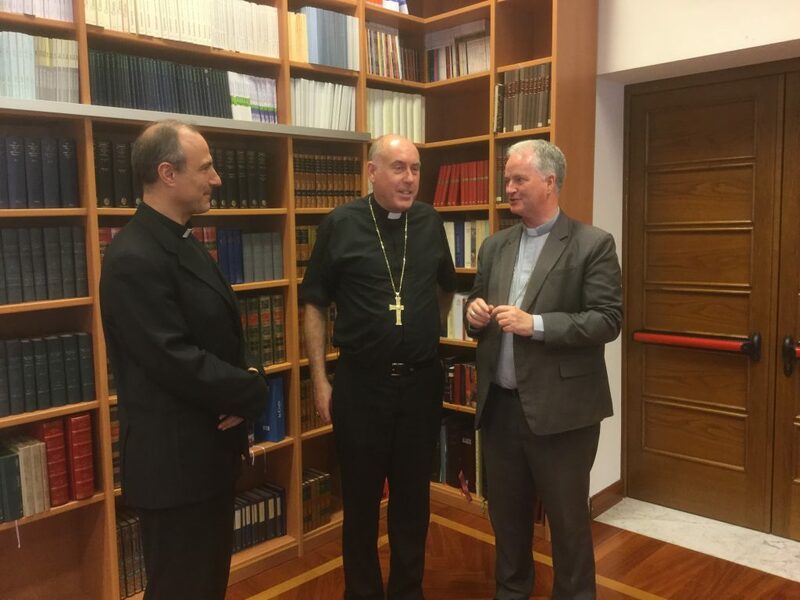 It has been interesting to learn more of how the Church is governed and encouraging to meet so many dedicated men and women who work at the Vatican. It was obvious that our reports had been carefully studied in advance and open dialogue took place at every meeting. I was able to discuss not just worldwide or even national issues but also raise points which I believe are relevant for a unique diocese like Argyll and the Isles. I pray that our diocese and the Church throughout our nation will benefit from our many experiences during the Ad Limina visit. Although the Scottish Bishop’s Conference must be one of the world’s smallest I also hope that our participation will have contributed something positive to the Universal Church. St Margaret, pray for us. All saints of Scotland, pray for us.